Star Wars games developer LucasArts has left the Entertainment Software Association. Weeks after giant game publishers Vivendi and Activision both left the Entertainment Software Association (ESA), LucasArts has followed suit and left the trade body in charge of running the E3 Media and Business Summit. Unlike Activision, LucasArts will still be appearing at E3. The ESA and LucasArts both issued statements to Joystiq. LucasArts states that it supports the ESA's mission, but doesn't explain why it departed from the organization. Rich Taylor, Senior Vice President of Communications and Research for the ESA stated, "Since its creation in 1994, the Entertainment Software Association (ESA) has grown and evolved into the pre-eminent voice of the video and computer game industry. The organization has 25 members, including three companies that were welcomed last year. 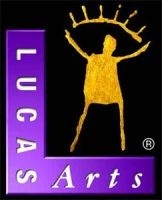 "Today, we can confirm that one of our members, LucasArts, has decided not to renew its membership. We value each member of our association, but respect the unique factors that led to LucasArts' decision." "We can confirm that LucasArts is no longer a member of the ESA," affirmed Margaret Grohne, Director, Public Relations for LucasArts. "As a company we are still committed to bringing consumers the best interactive experience possible and support the ESA's mission in the industry. LucasArts will be participating in E3."